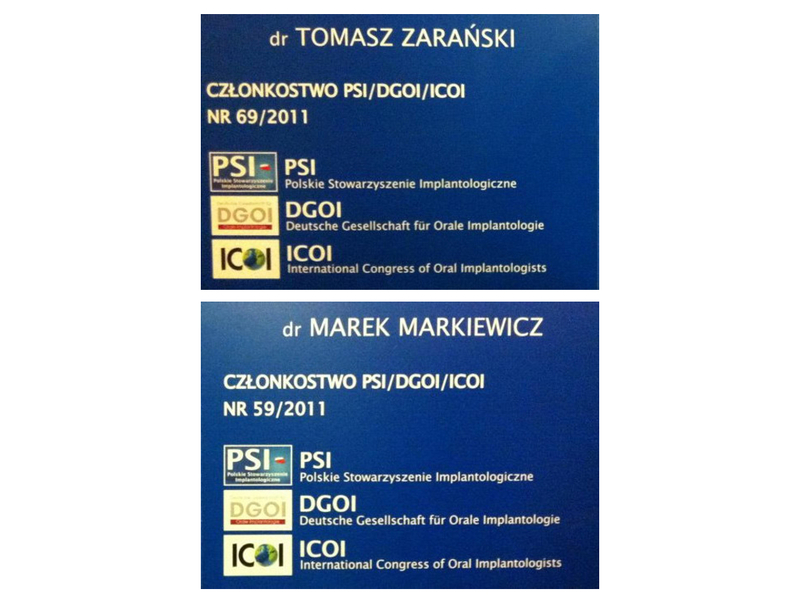 In our Dental Clinic Perfect Smile work unique doctors for which dentistry is a passion. 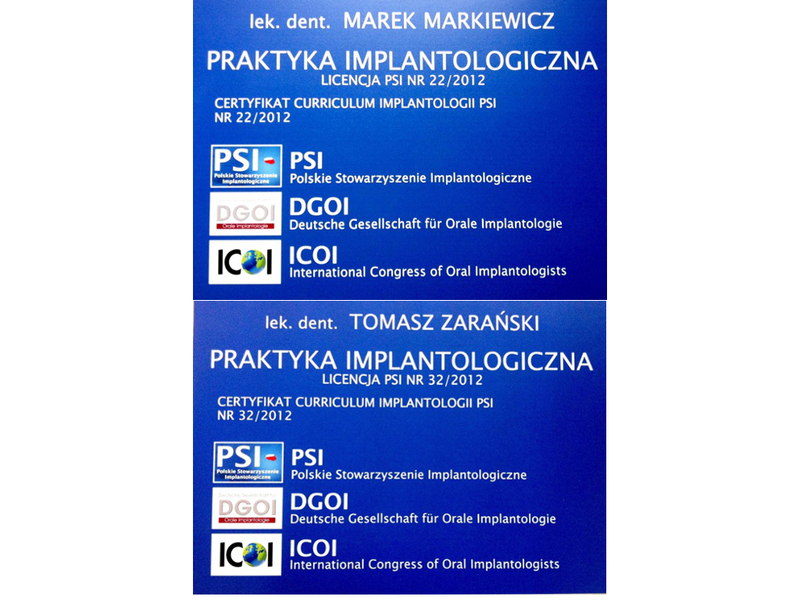 Clinic team systematically broadens knowledge and qualifications at the most important and prestigious conferences and practical courses on dentistry and implant dentistry. 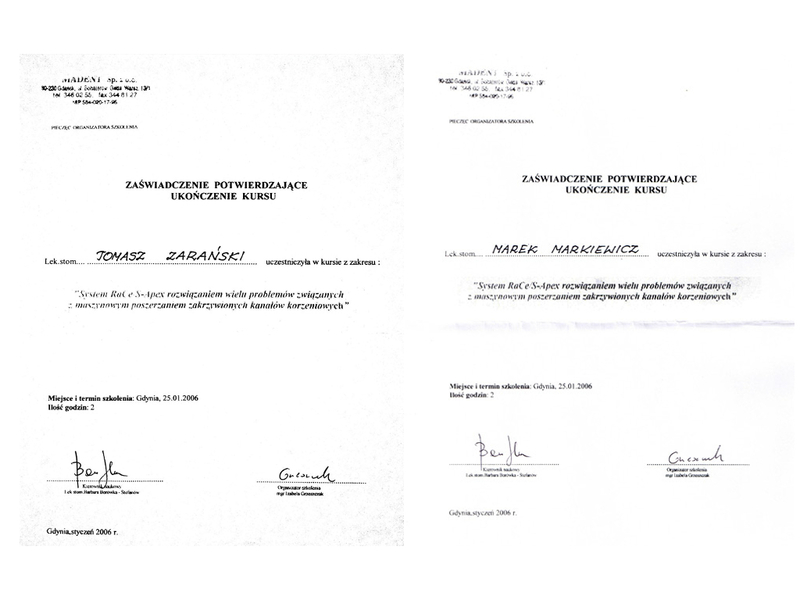 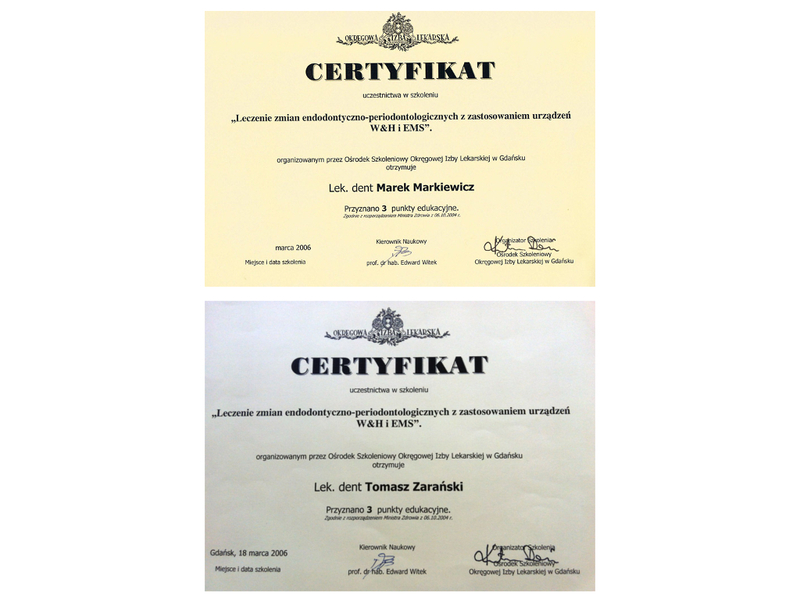 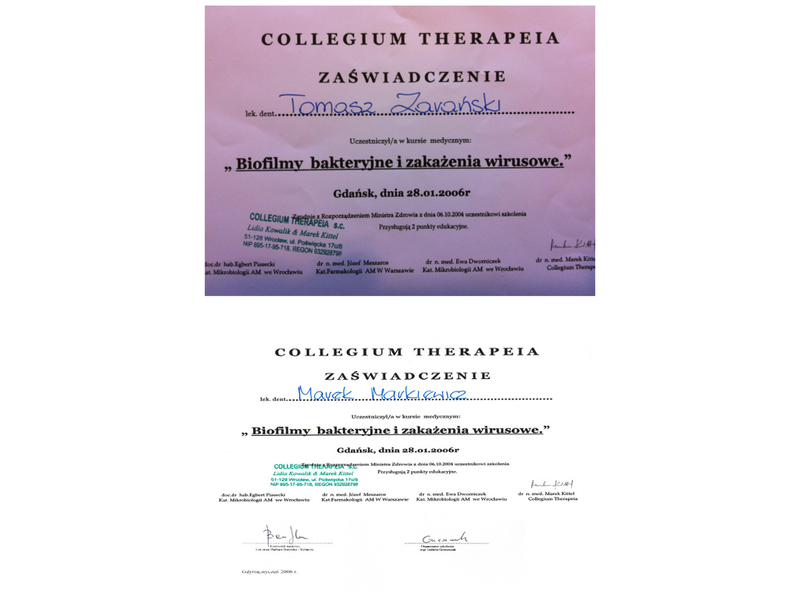 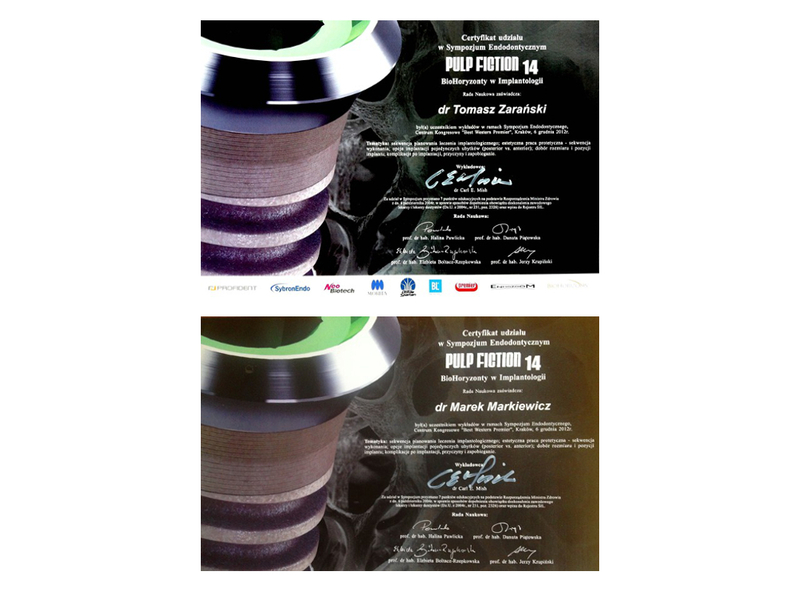 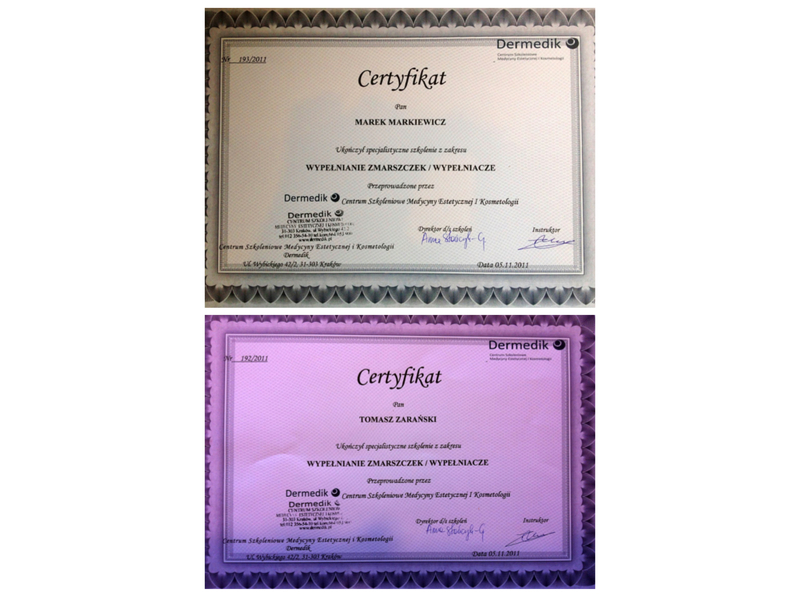 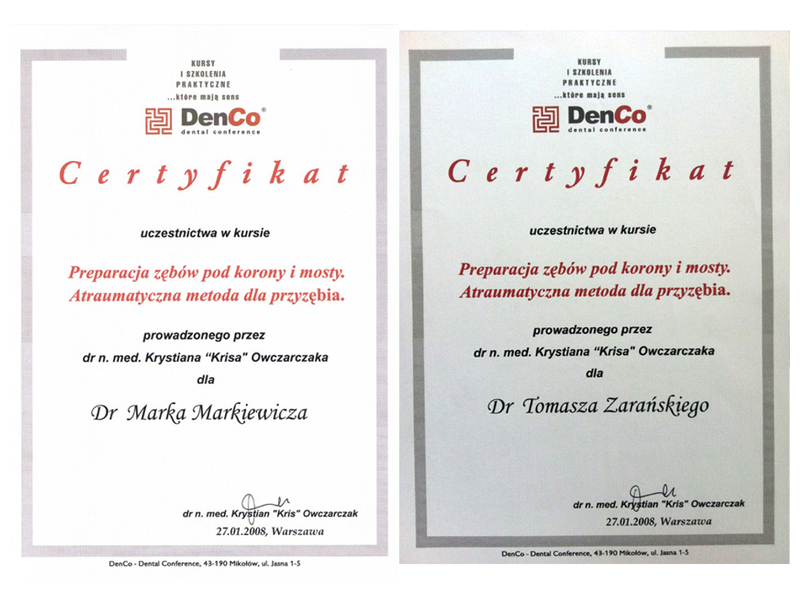 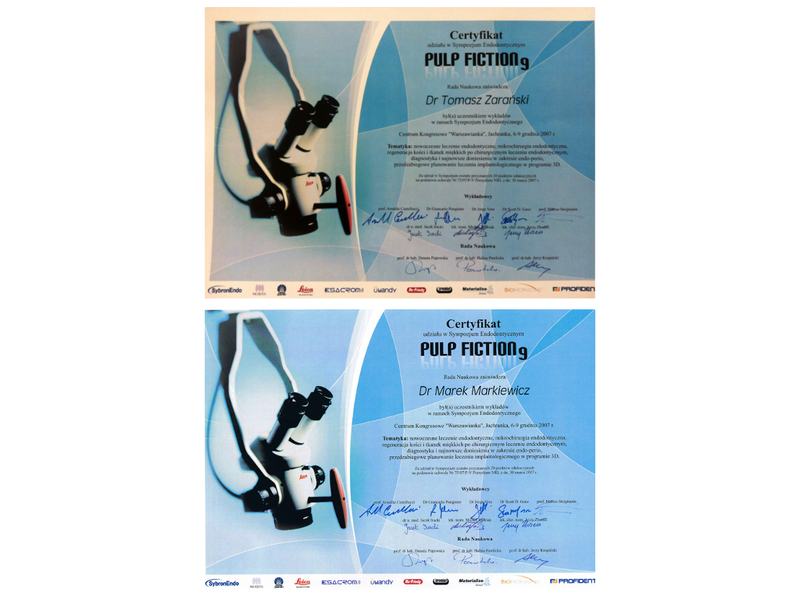 Below are presented the certificates that attest the professionalism and the great commitment of our doctors in increasing the level of dental treatment in Poland. 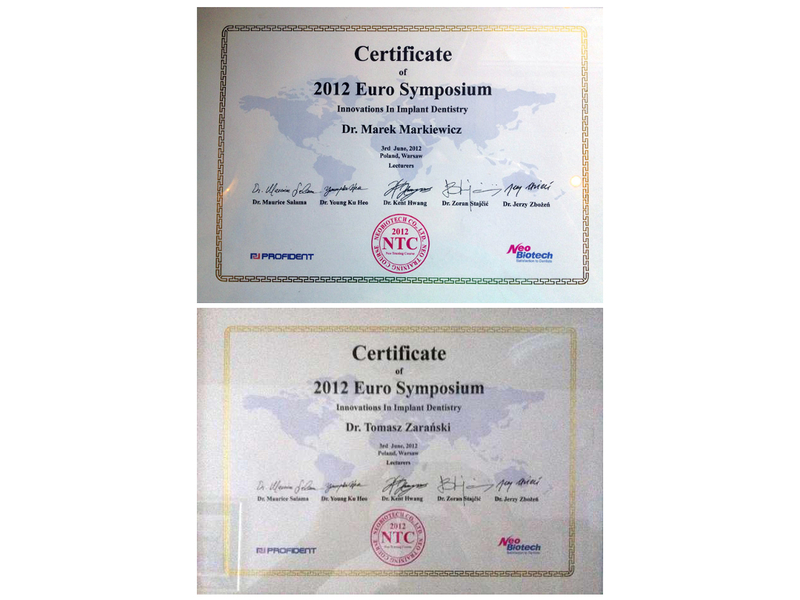 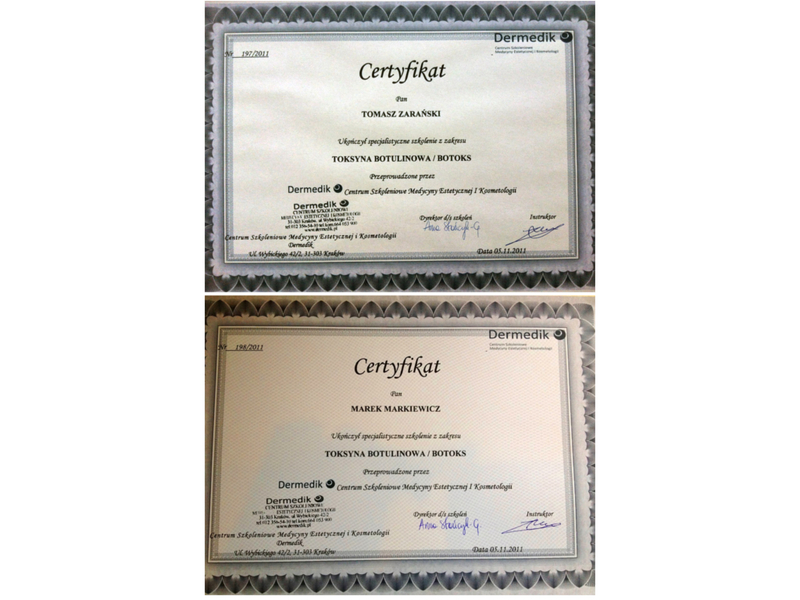 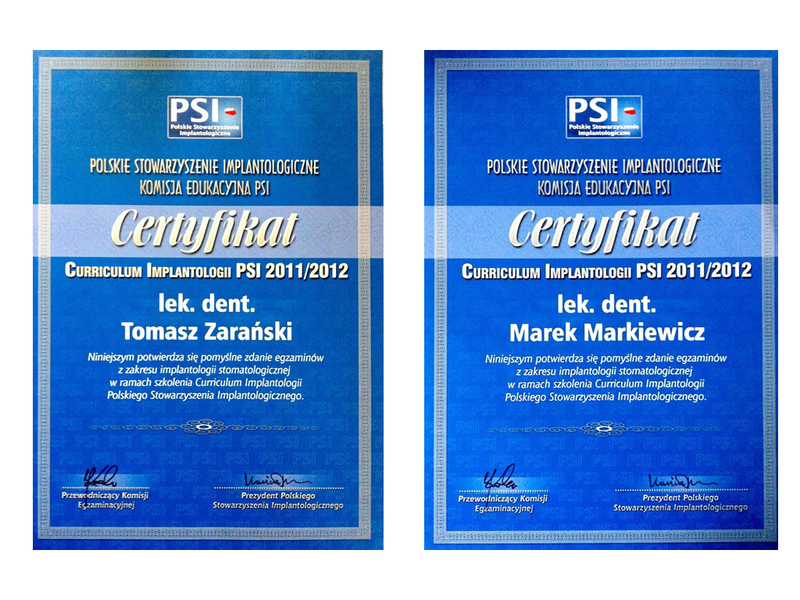 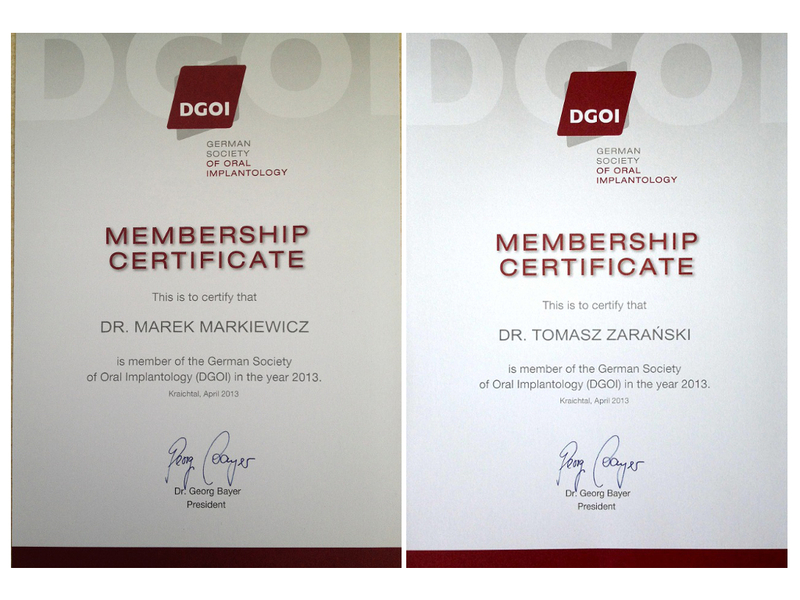 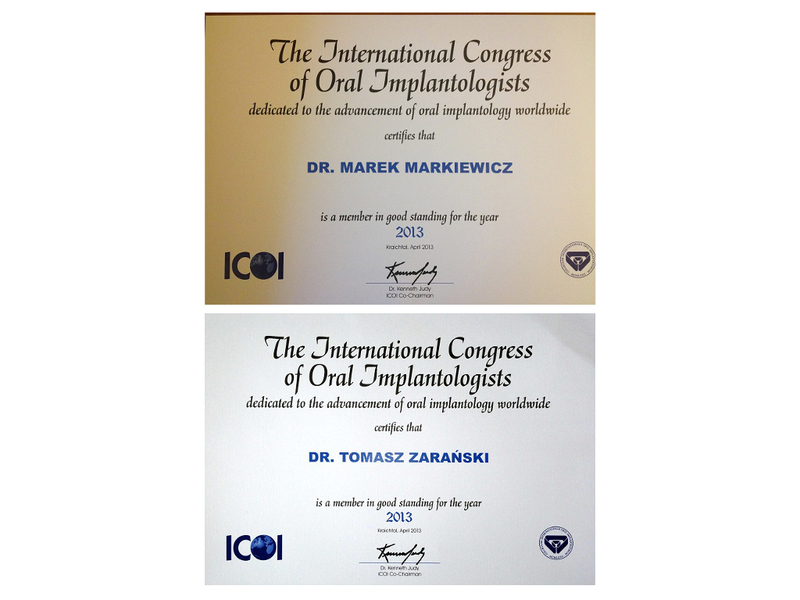 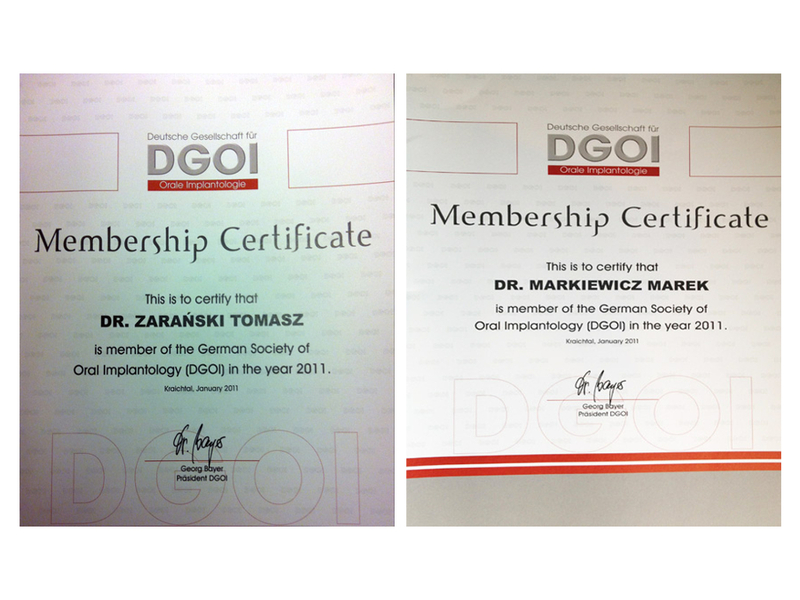 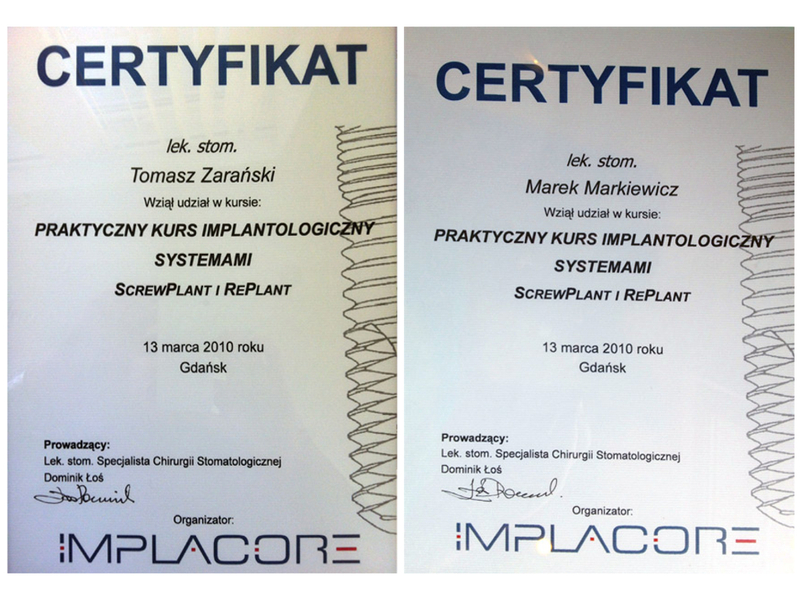 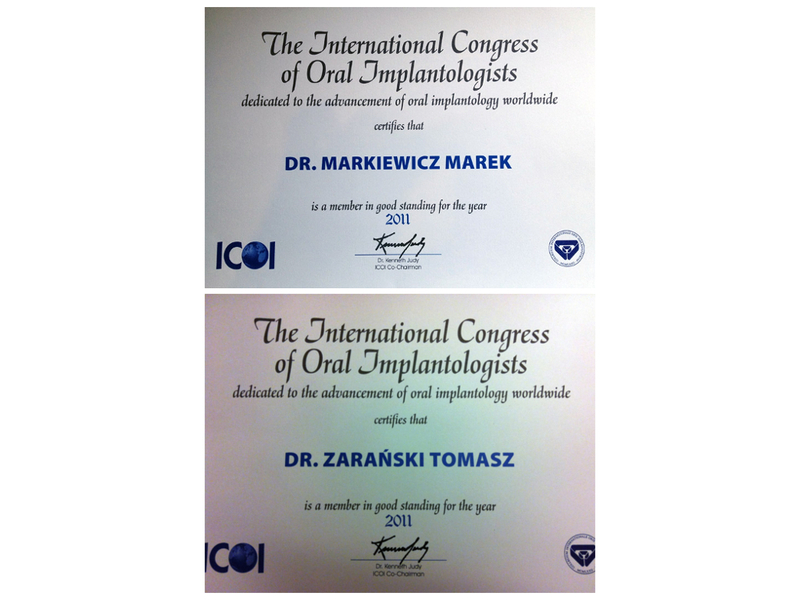 In addition, our clinic received the title Licensed Implant Practice of Polish Association of Implantology. 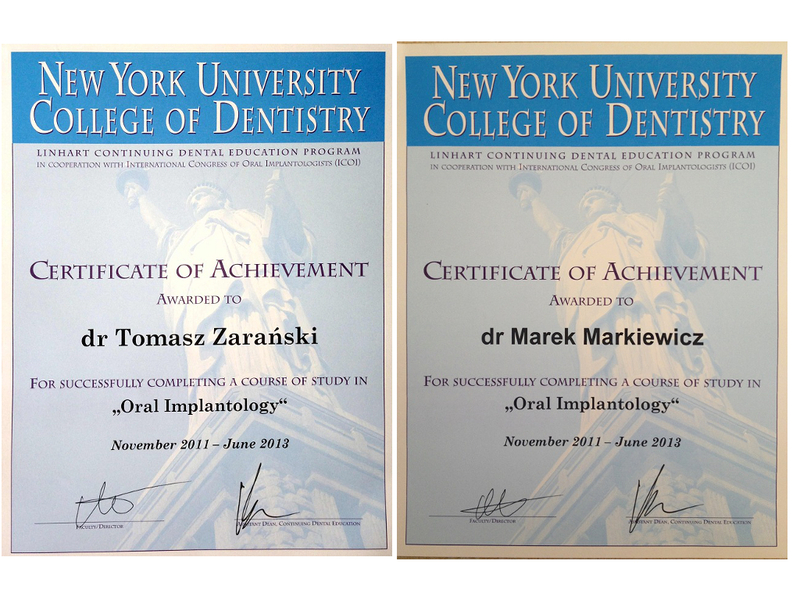 Our doctors specialized in implantology participated in courses organized by the New York University College of Dentistry in New York, and has successfully completed a course in Oral Implantology Curriculum 8 + 2, organized by the Polish Association of Implantology and the German Association of Implantology (German Society of Oral Implantology). 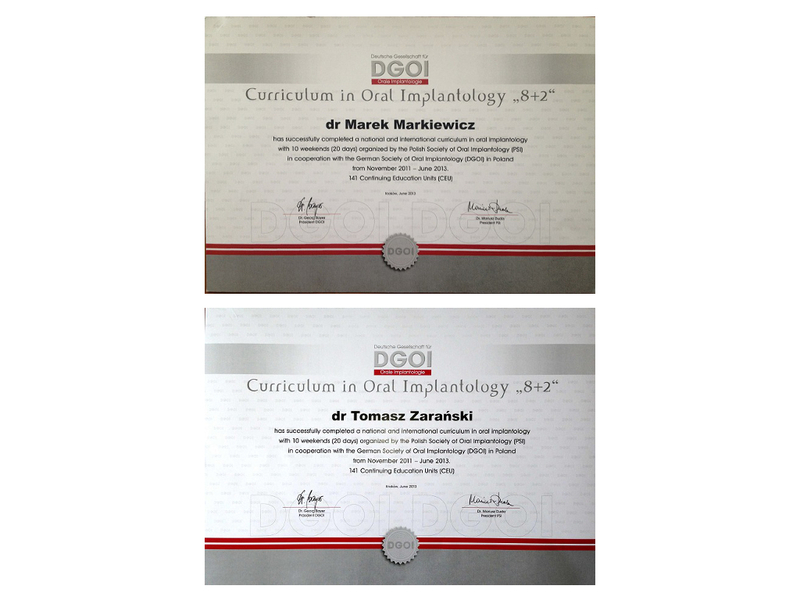 Knowledge and skills of our implantologists has been recognized and rated by International Congress of Oral Implantologists as DIPLOMATE title – which is the highest level of in Oral Implantology, recognised all over the world. 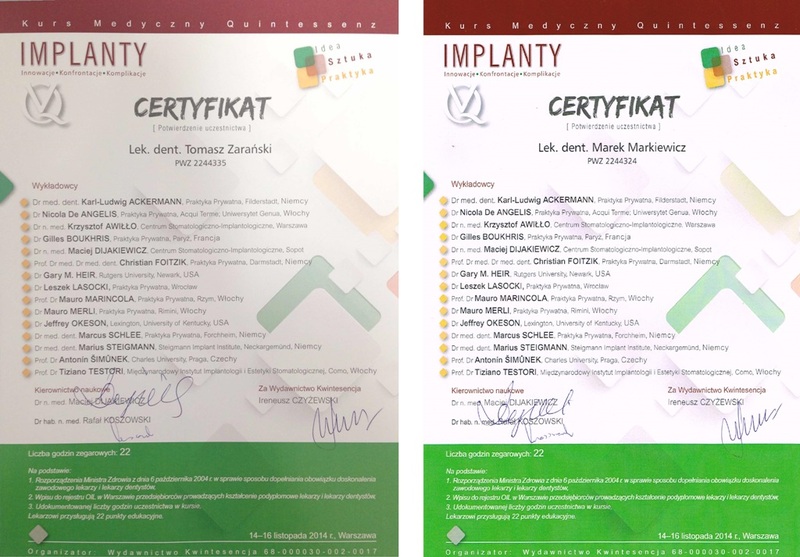 The team of our dental clinic can boast experience and membership in the most prestigious dental implant associations in Europe, and the appreciation among the most demanding patients. 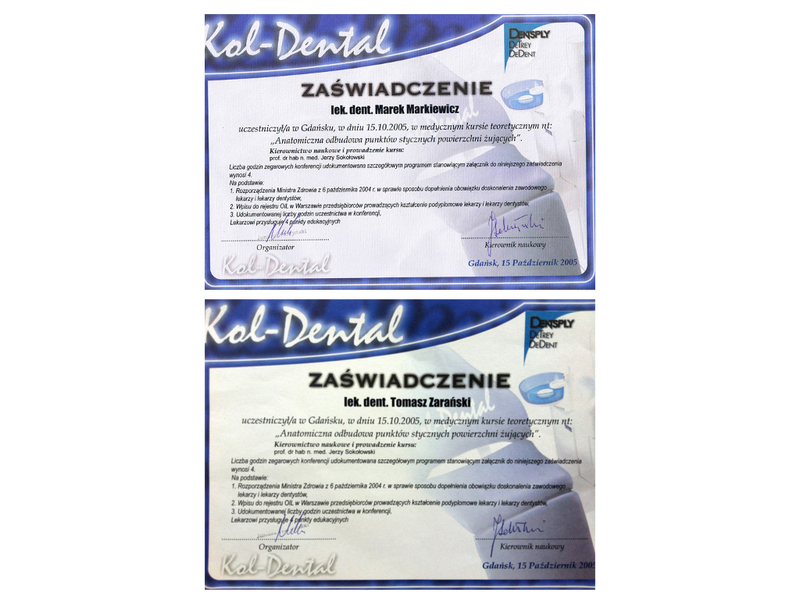 Dental Certificates | Dentist Gdansk | Implantology Gdansk | Professional Dental Clinic: Dental Implants | Prosthetic | Endodontics | Prosthodontics | Dental Sugery.